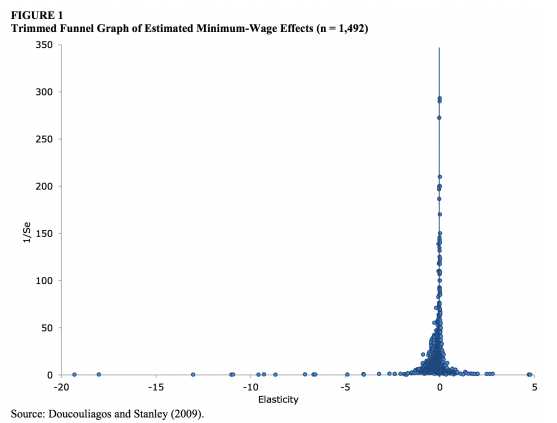 Will a Minimum Wage Hike Really Cost Jobs? The Congressional Budget Office is out of step with most economists on job loss projections as a result of a minimum wage hike. The Congressional Budget Office lobbed a small grenade into the debate over an increased minimum wage on Tuesday, releasing a report that found an increase to $10.10 an hour by 2016 would increase the wages of 25 million Americans, but also cost the economy around 500,000 jobs. Seventeen million Americans would be directly affected by raising the minimum wage gradually to $10.10 by 2016, and 8 million workers who earn above $10.10 would also see indirect wage increases as a result, totalling 25 million Americans who would earn more. Americans who make less than six times the poverty line (that is, $70,020 annual earnings for an individual) would see $19 billion in increased aggregate wages as a result of a minimum wage hike, with 90 percent of that going to people who make less than three times the poverty line ($35,010 in annual earnings for an individual). These are net numbers, meaning they account for the aforementioned job losses. People making less than the poverty line ($11,060 for an individual) would see $5 billion in increased aggregate wages, which again is a net number. The CBO also says 900,000 Americans would be lifted above the poverty line. 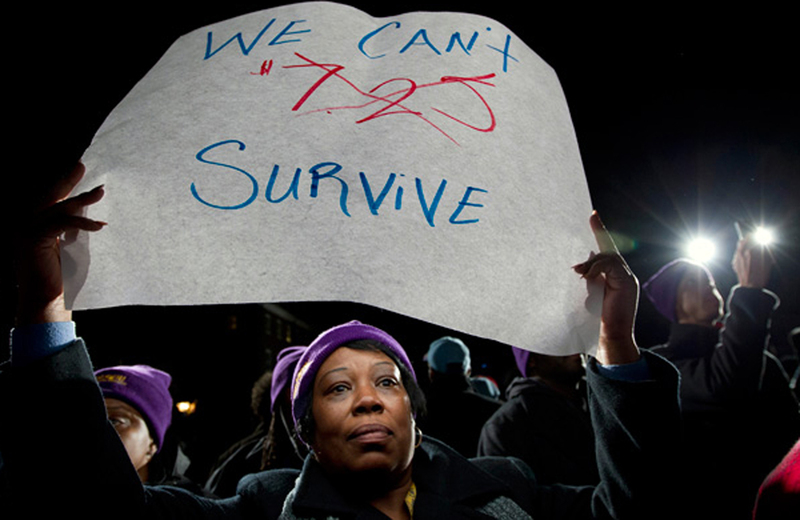 A minimum wage hike would have no clear impact on the country’s budget deficits even in the long term. The progressive response has been twofold: one, that the CBO’s findings on job loss are out of step with a majority of the economic research, and two, that the big picture tradeoff still makes a minimum wage hike a good deal. Several economists Tuesday, including Jason Furman and Betsy Stevenson at the White House, stressed that the CBO report doesn’t match the “consensus view” of economists. It’s not that the CBO cooked the books or had serious methodological problems, they say. But what the CBO did was a meta-analysis of economic data: in other words, instead of running its own empirical study on the employment effect of minimum wage increases, the CBO simply looked at a bunch of existing studies and did an analysis of that body of work. Lawrence Katz, an economist at Harvard University, told reporters that he thinks perhaps the CBO used a slightly higher number for elasticity of labor market demand than was necessary. “At every stage they’re being a little higher than I would do, but I think they’re trying to be reasonable at reading the evidence, and as they stress, there’s a lot of uncertainty,” he said. But in the bigger picture, many economists said the trade-off would still be worth it even if one accepted the job loss numbers.